Faast + LTC: The Best Way to Buy Litecoin! 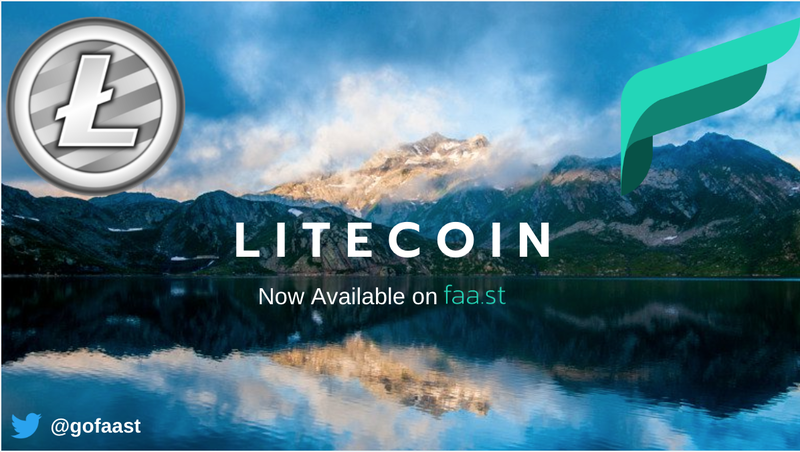 Today we are proud to announce that Litecoin (LTC) is now fully supported on Faast! As the Faast product continues to grow and evolve, one of the most important steps in that process will be adding support for new major blockchains. When it came to decide on which new chains to list, LTC was a no-brainer. Litecoin has been making headlines for several years now as “Bitcoin’s little brother”, and was launched in October of 2011 as a fork of the original Bitcoin blockchain. Unlike BTC, Litecoin uses the Scrypt hashing algorithm, has a different block generation time (new block every 2.5 minutes) and a maximum supply of 84 million coins- 4 times that of Bitcoin. In the years since, LTC has proven itself to be a very capable P2P digital currency, with low fees and short transaction times. For many new crypto investors, the price of a whole Bitcoin can seem a little intimidating. Even with the recent drops in the market, the price of a whole BTC can feel like a bit too much to ask for someone new to the game. But with LTC only around $30 right now, it can be enticing alternative for psychological reasons for crypto traders who like owning whole coins. 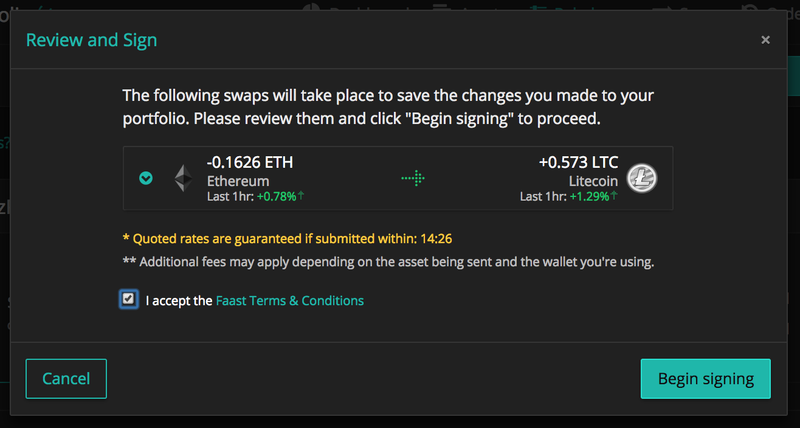 We’ve made some changes to the Faast user interface in recent weeks so we thought we’d provide you with a quick visual walkthrough for swapping Litecoin in and out of your wallet with Faast. 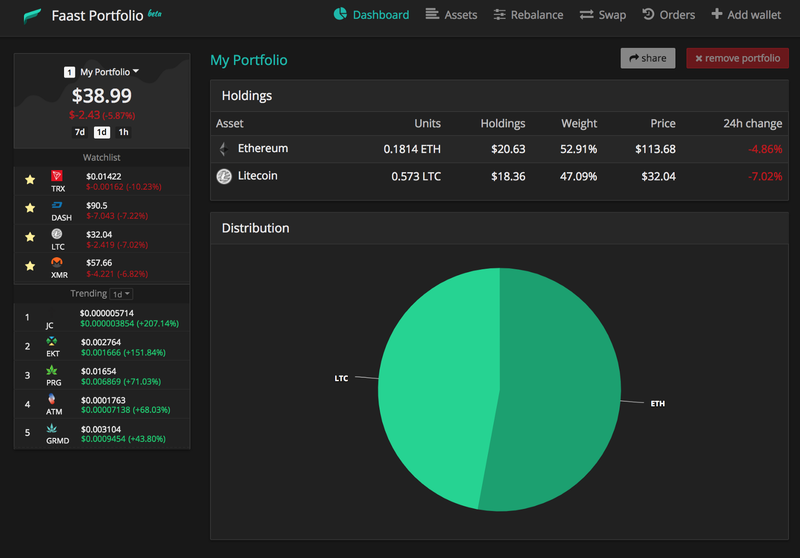 If you have your LTC wallet ready to go, then simply visit https://faa.st/portfolio/swap and enter your LTC receiving address in the first field. Check the box indicated that you accept the Terms & Conditions, and click “Create Swap”. 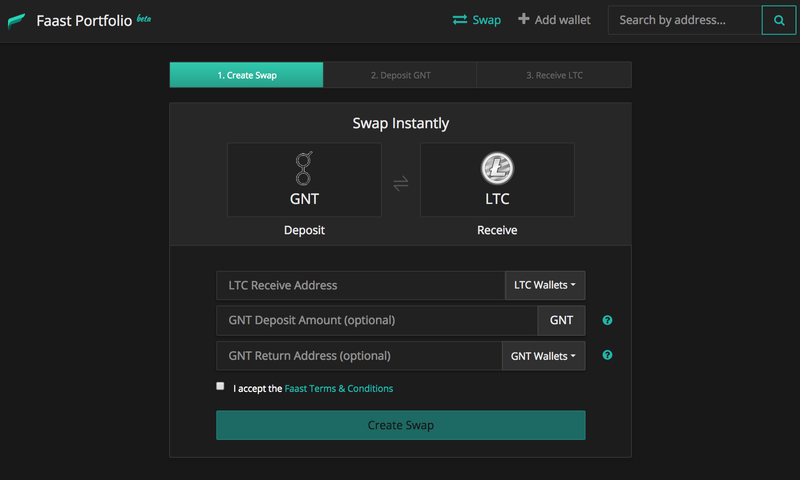 If you already have an LTC wallet set up, just enter the LTC address. If you don’t have an LTC wallet, we suggest using a hardware wallet, which is explained below. LTC is supported by both the Trezor and Ledger hardware wallets. 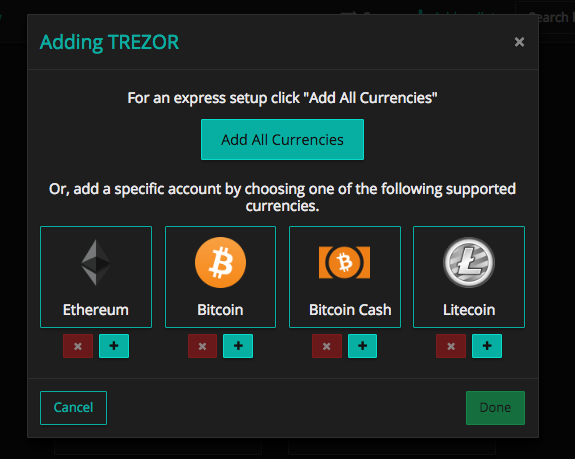 In this example, we’ll provide a quick walkthrough for making a swap of ETH for LTC using a Trezor wallet. 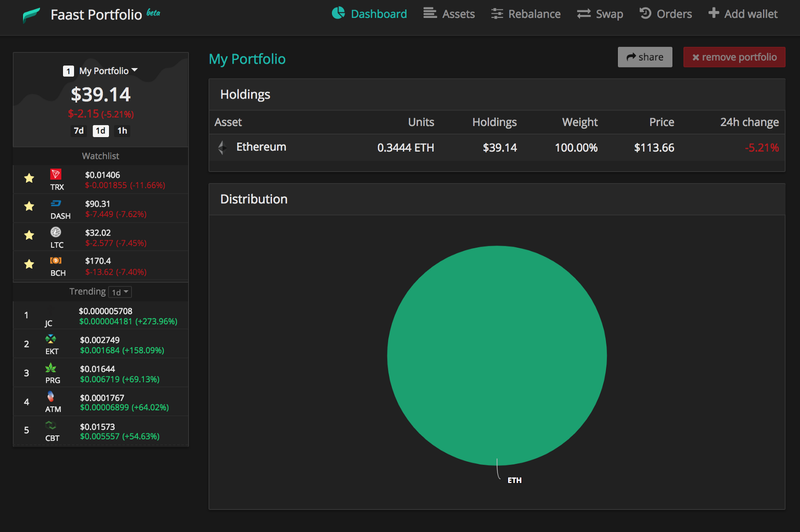 Step 1: Connect your TREZOR wallet to your computer, and visit https://faa.st/portfolio/connect. 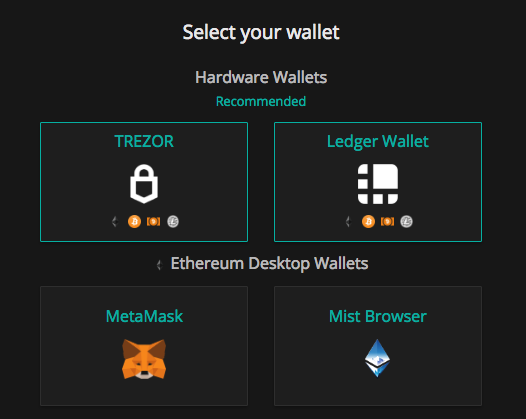 Under “Select your wallet”, select the TREZOR icon. You are ready to begin. Select “Rebalance” at the menu at the top of the screen. 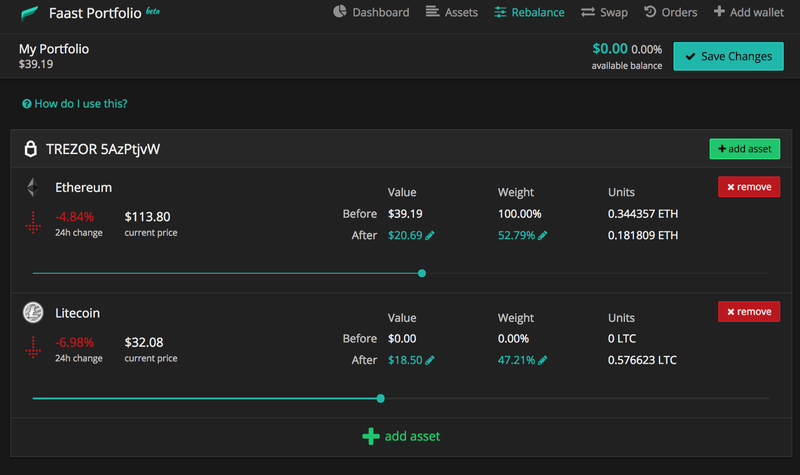 Now use the click-and-drag interface or type in the exact amount to enter how much of a certain asset(s) you wish to swap for LTC. You’ll be asked to confirm the transaction on your TREZOR device. Confirm the transaction and the LTC will be delivered directly to your Trezor wallet! For a more detailed explanation of using Trezor wallets with Faast, click here. If you are using a Ledger Wallet, just follow the steps outlined here — it’s the same for LTC as with any other currency. This is just the first of many exciting developments coming up in the near future with Faast. Stay tuned!